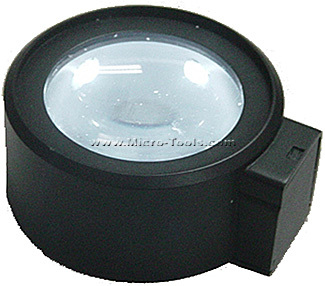 Visible Dust Sensor Loupe™ is a 5X inspection device. The high quality optical glass is coated with MgF2 to reduce chromatic aberrations and to seal the lens so that no mildew buildup occurs. The high caliber materials used in construction of the Sensor Loupe™ provide a high resolution, crystal clear image of the sensor. The BriteVue XL™ design aids to easily spot dust on the sensor, succeeding where other tools fail.